Hello! 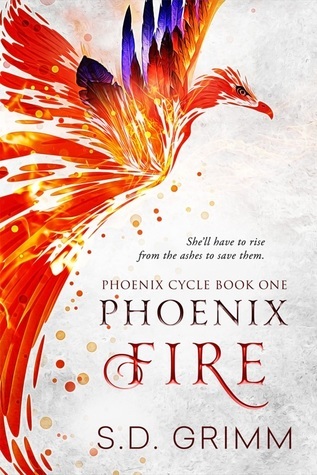 Welcome to one of the first stops on the Phoenix Fire blog tour hosted by Entangled Publishing. I'm really happy to share my thoughts on this book with you, as well as an excerpt from the story! 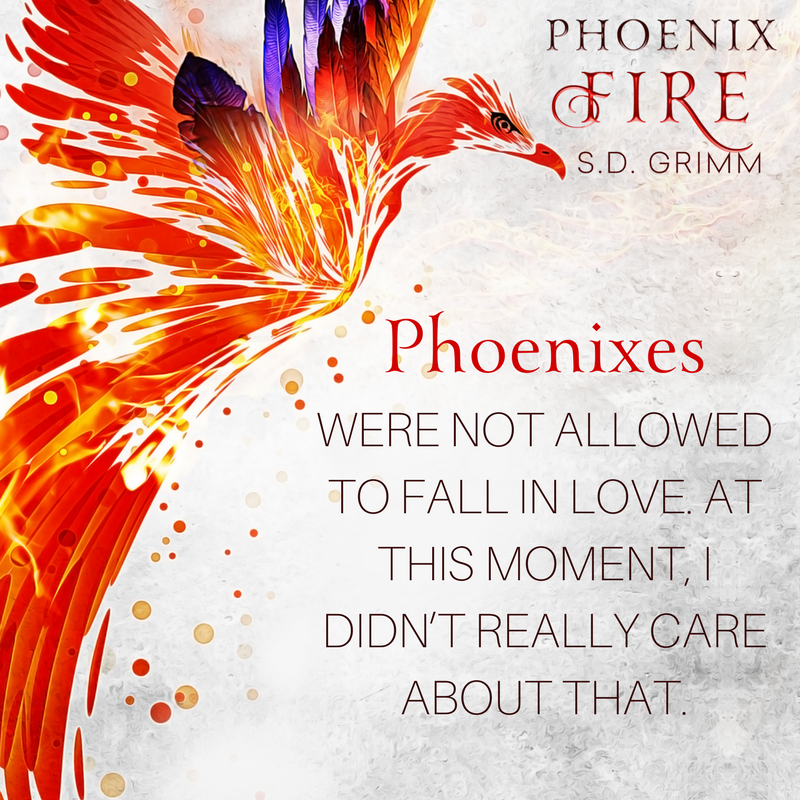 Phoenix Fire is being released into the world today (March 5th) and can be found here. Synopsis (via Goodreads): After spending her life in foster care, Ava has finally found home. But all it takes is a chance encounter with hot nerd Wyatt Wilcox for it to unravel. "Actually, I was certain I wasn’t okay, but there was no way I’d tell comic-book-loving, Bunsen-burner-master Wyatt that." I received an ARC from the publisher via NetGalley in exchange for an honest review. My thoughts and opinions are my own. Also, the quote I used may have changed or been altered in some way, but I am quoting from what I received. I really liked the concept for this book, but I didn't love it as much as I thought I would. Ava, one of the three siblings, really started to get on my nerves. I can understand why she pushed people away in the beginning, but after the first quarter of the book her comments really bugged me. She kept saying she was better off alone, and the only person she could trust was herself. It was like listening to a broken record. Her foster family was amazing, and they never gave her a reason to push them away. She was acting preemptively and without cause (because she thought it would be best to remain unattached), but she didn't give them a chance. She was guarded and defensive from the beginning, and it was like she couldn't accept that people genuinely cared about her. I also thought it was weird that two teens died and no one mentions it or asks what happened. You would think Ava's foster parents, the school, or even her brothers would have discussed the deaths, but it was like it never happened. Wyatt, Nick and Cade—I really wanted to like these three, and I did for the most part, but ugh. NO ONE TELLS ANYONE ANYTHING EVER. For some unknown reason, Wyatt and Nick get their memories back first, like two years before the others. What do they do during those two years? Who explains what is happening to them? Why does it take so long for everyone to get on the same page? I felt like the story was moving forward without actually going anywhere, but I wanted to see how everything would play out. Phoenix Fire did manage to surprise me a few times, so bonus points there, but I wish the information had been presented a little differently. A few more details here, a little character development there, and less "Drat! I'm being sucked into a memory!" I know they needed the information from their past lives, but there had to be a better way for them to access those memories. Everyone kept fainting and falling down. “It’s not like you made a habit out of beating people up, right?” I offered a smile. The way his gaze locked onto mine, suddenly easier to read though the moonlight was blocked by branches here, made me think he might be staring deep into a memory, too. “No. You let them pick on you.” I released his hands. Within a few minutes, we’d arrived to my favorite place on the run. I stepped through the thinning dune grass and out onto a sandy cliff of the top of a dune. From here we could see over Lake Michigan. But the sun had already set, leaving nothing but darkness in front of us. Here, at night, the best view was looking up. “Yeah?” His voice carried the hint of awe and surprise mingled together. He didn’t respond, so I tore my eyes away from the night sky and found Wyatt already looking at me. Something in his soft smile made my heart beat faster. 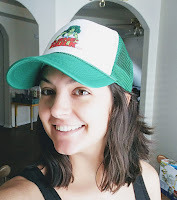 S. D. Grimm’s first love in writing is young adult fantasy and science fiction, which is to be expected from someone who looks up to heroes like Captain America and Wonder Woman, has been sorted into Gryffindor, and identifies as rebel scum. Her patronus is a red Voltron lion, her spirit animal is Toothless, and her favorite meal is second breakfast. Her office is anywhere she can curl up with her laptop and at least one large-sized dog.You can learn more about her upcoming novels at www.sdgrimm.com. That is such a gorgeous cover! Sorry it was a disappointment. It sounded like it has so much potential. I absolutely loved the idea for it, just not how everything played out. This has an amazing concept... too bad it didn’t deliver on all that potential. Characters who don’t communicate are such a pet peeve of mine. I find it to be such a lazy plot device. They didn't want to "push too hard," or activate her "defense mechanism" (which is never elaborated on). I don't even know what would have happened if they'd just told Ava what was going on. I do know that she was frustrated with trying to figure out what was wrong with her, and there were three people that could have easily cleared that up. Nick didn't want Cade to get his too soon, but it doesn't really explain the reason for that either. There are a lot of "reasons" for things that are never actually explained, so I don't know how relevant they actually are. I think this book could have easily been condensed in some areas and elaborated on in others. Well dang, that story line sounded like such a great idea. Sorry to her it didn't live up to the expectations. I was bummed, but it's okay! There's always something else to read! Hmmm I'm intrigued by the blurb. What exactly is a phoenix in this scenario? It does sound like there were some frustrating things in this book. I also get frustrated with characters when the other characters keep showing/telling how much they care, but the character can't seem to accept that. But I'm glad you enjoyed certain things about the book too. And it does have a gorgeous cover! A Phoenix is someone that fights monsters to keep humanity safe (vampires, werewolves, wraiths, etc. ), but the book doesn't really elaborate much on the monsters. I felt like they could have been given a little more attention. 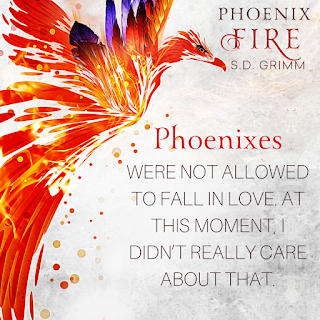 In this book though, you have Phoenixes that protect humanity, and then also Dark Phoenixes who want to destroy it. When they die, they are reborn from fire and ash in a different place and time. She couldn't accept love from anyone, but it doesn't really explain why she's so adamant not to. I get that the foster care system was an issue, but it doesn't really elaborate on it. I was also frustrated waiting on everyone to know everything. Sorry to hear this wasn't a better read for you. The excerpt sounds great but I could see myself bothered by the same things that bothered you. Thanks for your honest review! Even with my issues, I would still like to know what happens next... I think I'll wait and read reviews for the second book before making up my mind. What a beautiful cover! Sorry it was a bit of a disappointment for you. Thanks for sharing the excerpt! I love the cover! I was pretty bummed about a few things, but still enjoyed the concept for the story. Q  How many books do you read at once?